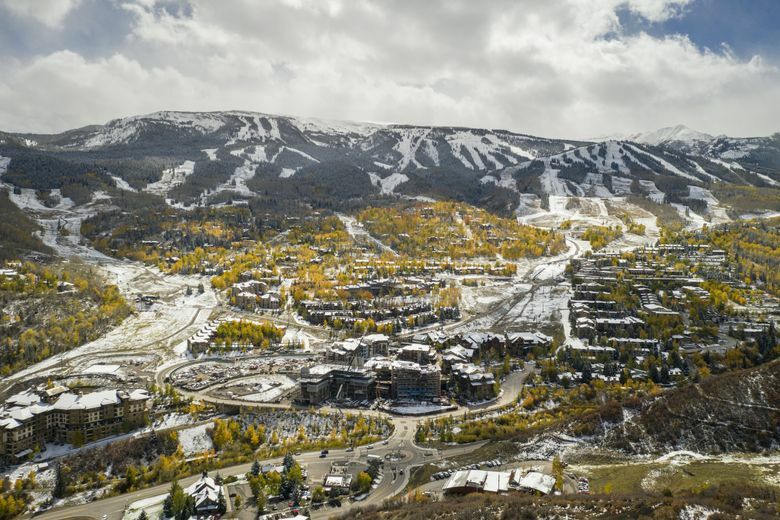 In mid-October, early storms were already dropping significant snowfall on the iconic ski area. 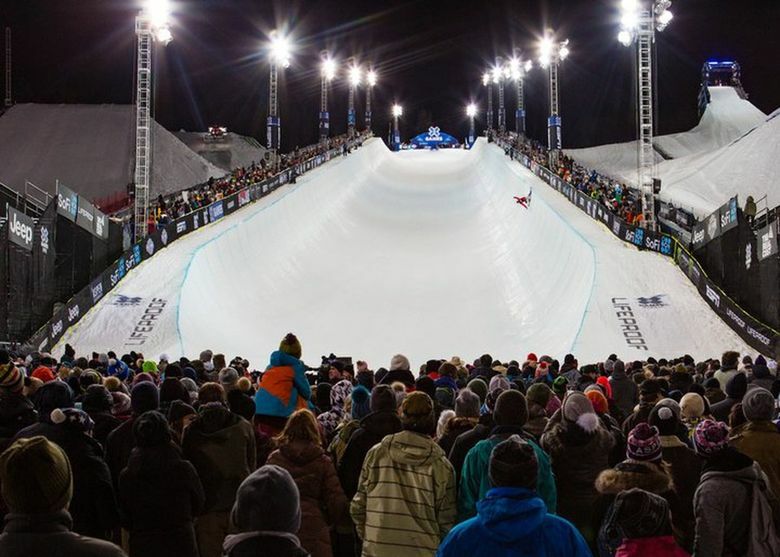 Add in a new pass program through Crystal Mountain's new ownership, and for Seattleites eyeing a trip to the home of the X Games, this might be the year. ASPEN, Colo. — The slopes are splashed in brilliant white from a succession of fall storms. A new base village at Snowmass stands ready to open. 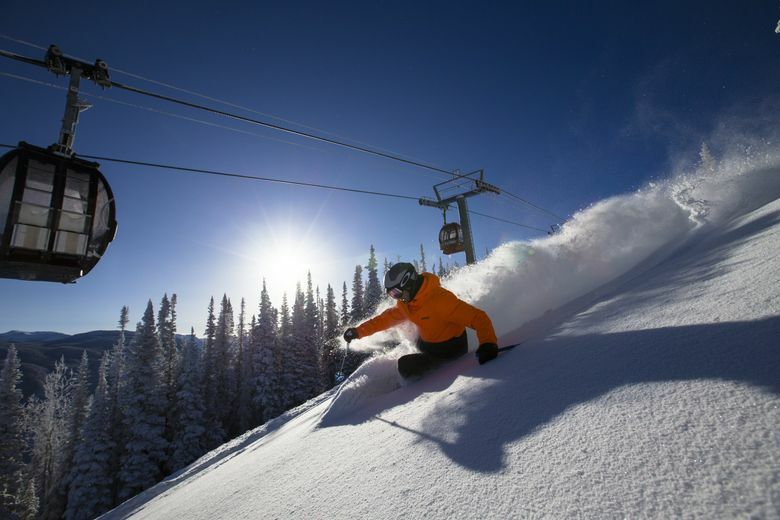 And an El Niño forecast — one that could send the storm track into the southern and central Rockies — has everyone hoping this will be a great season at one of North America’s top ski destinations. 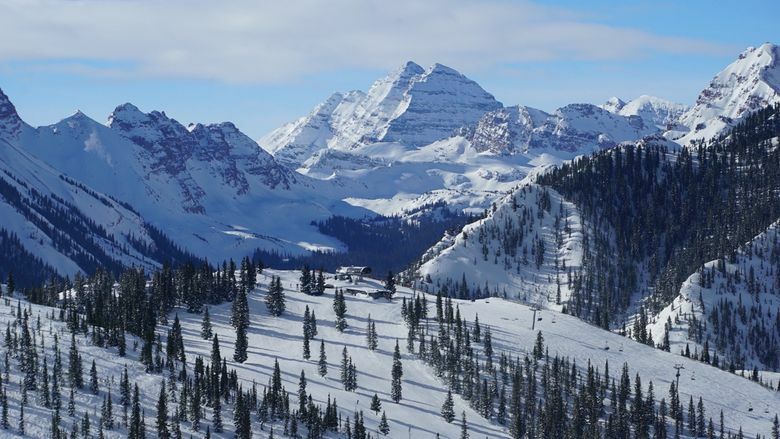 For Seattle-area skiers, this might be the year for a trip to Aspen, particularly if you purchased the Ikon Pass through the new owners of Crystal Mountain Resort. 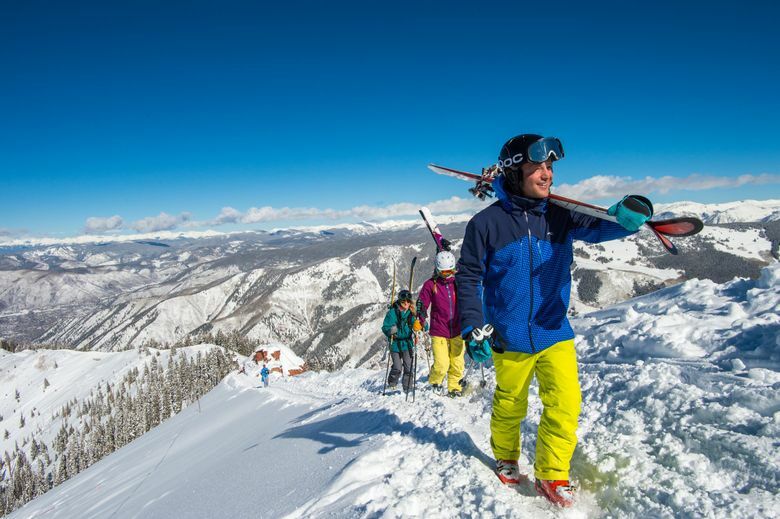 Besides offering unlimited skiing at Crystal, that season pass offered by Alterra Mountain Company is good for several days at Aspen’s four mountains — Snowmass, Aspen Highlands, Buttermilk and Aspen Mountain. Aspen’s Chris Davenport, one of the world’s best big-mountain skiers, said the variety of skiing is what makes his hometown so special. 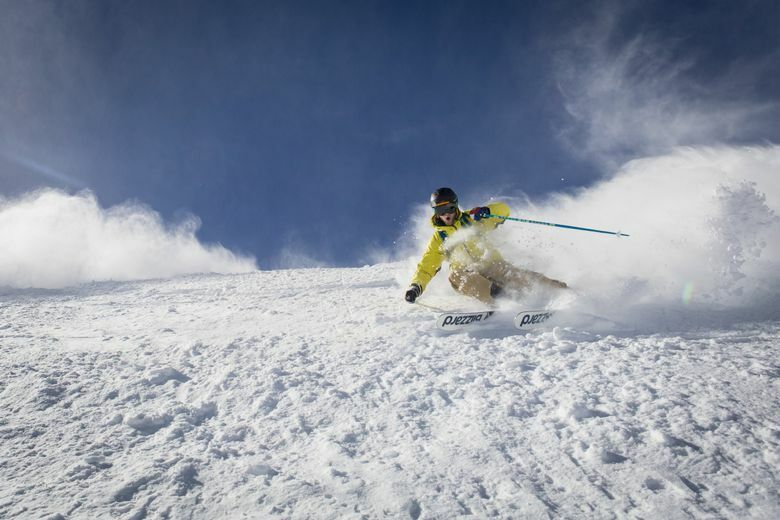 “On any given day I might be choosing between advanced tree skiing at Aspen Mountain, heading over to Highlands to hike the bowl, cruising high-altitude groomers at Snowmass, or training on my touring skis at Buttermilk,” he said. 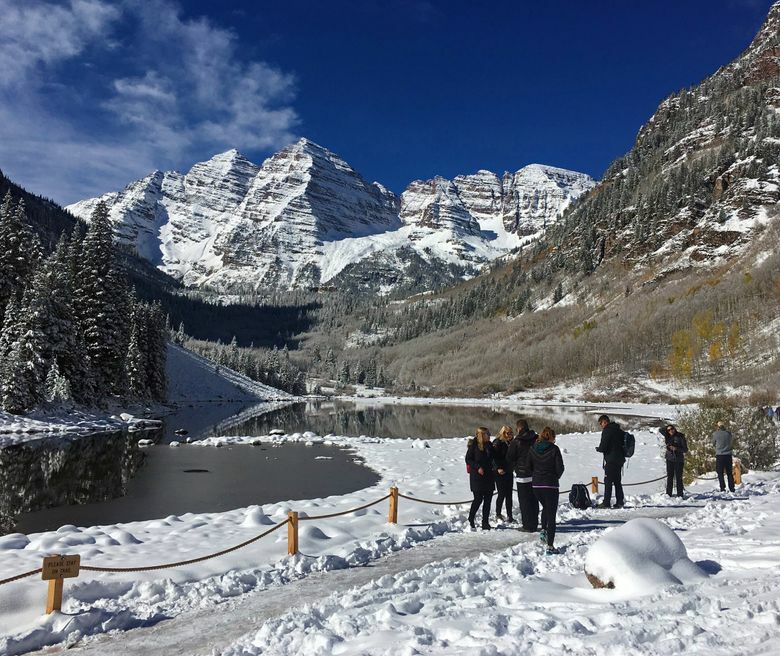 In mid-October, early storms were already dropping significant snowfall on the iconic 14,000-foot Maroon Bells and the golden aspen groves of the Roaring Fork Valley. The cold, snowy days were far different from last year’s warm, dry season that didn’t really get going until February. The fall storms lent a hopeful air to the historical mining town at 8,000 feet in the Rocky Mountains. While an El Niño forecast doesn’t always mean big snowfall in Aspen, it’s one of the factors that can contribute to an epic year, said Joel Gratz, a meteorologist for the national website OpenSnow.com. “It’s a good bet that we’ll have more snow this season compared to last season,” he said. Meanwhile, at Snowmass, the first phase of a $600 million base village is set to open Dec. 15, anchored by the new 99-room Limelight Hotel. It also features a giant climbing wall, an ice-skating rink, retail shops and room for events, making a revamped village space near Snowmass’ Elk Camp Gondola. 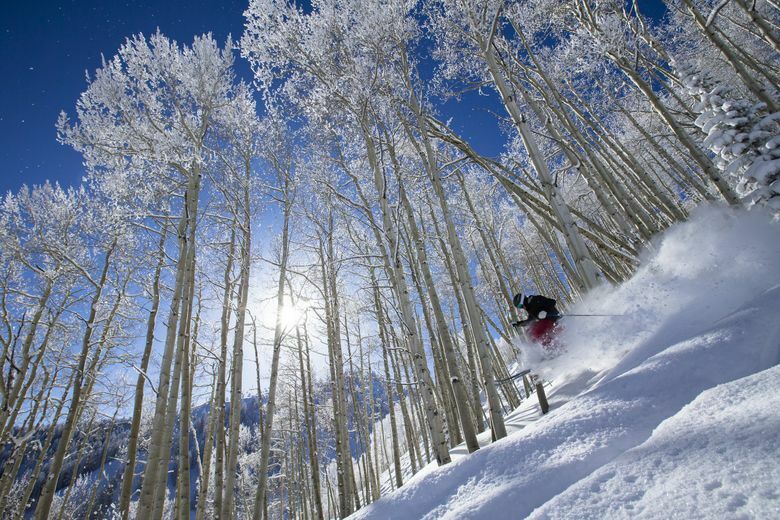 For visitors, Aspen’s four resorts offer 5,300 acres of skiing, about the same size as archrival Vail. That’s where the comparison ends — each of Aspen’s mountains has its own character. 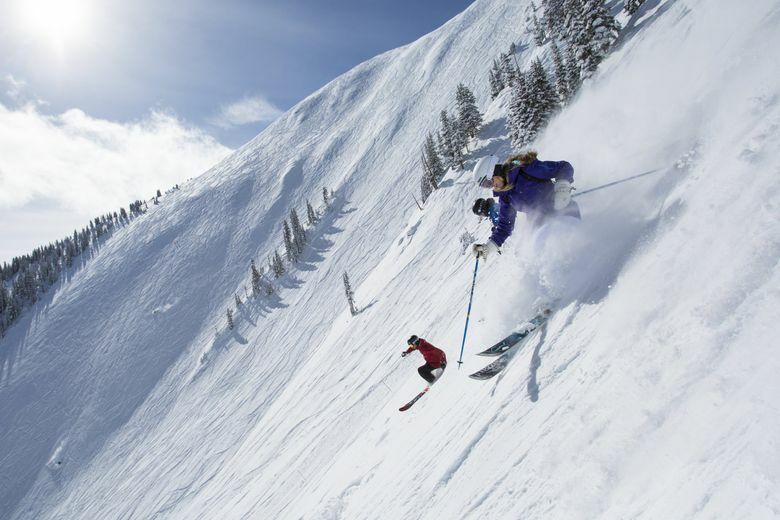 Snowmass is known primarily for its vast array of high-alpine intermediate terrain. 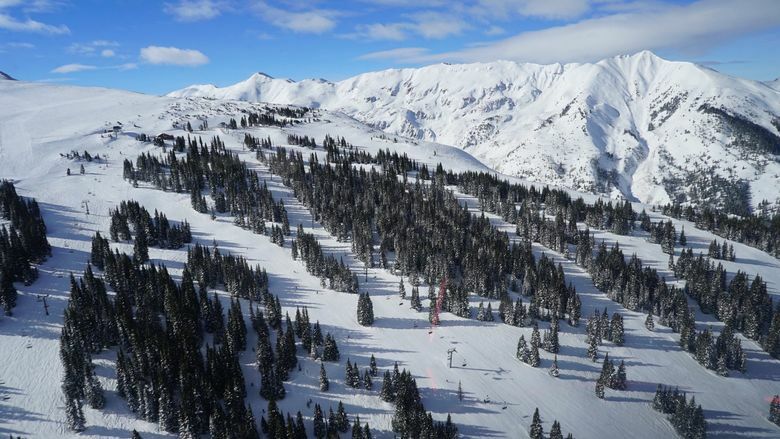 Aspen Highlands is a favorite for its steep, expert-friendly terrain, most notably hikeable Highland Bowl, accessed by the resort’s top chairlift on 11,675-foot Loge Peak. The resort offers snowcat rides for part of the way — then skiers and boarders can climb along a ridgeline that tops out at 12,400 feet for access to an amazingly steep bowl that often has some of the best powder in the Rockies. Buttermilk is known as the mountain for beginning and intermediate skiers, but in recent years it has become a popular destination for “uphilling,” when skiers slap climbing skins on touring skis to ascend the slopes and then ski down. Buttermilk is also known for the annual X Games competition in January, which brings the world’s best extreme-sports athletes to town. It’s a party atmosphere, with major music acts — next year, Lil Wayne will perform. Finally, there’s Aspen Mountain, known as Ajax. The town hill is a favorite among locals, ascending 11,212 steep feet above the historical buildings of Aspen. The size and complexity of the four ski areas might feel daunting if you’ve never skied at Aspen, Davenport said. Beyond skiing, Aspen is a vibrant community, with 7,000 permanent residents who support an active arts scene anchored by the historical Wheeler Opera House (1889). Other entertainment venues include the Belly Up Aspen, which often scores major touring acts. The town is well known as a celebrity playground and has more than its share of designer stores. Keep your eyes open — you might just see Goldie and Kurt walking the streets. Dining: Aspen has many exceptional restaurants. Element 47 in The Little Nell Hotel sources ingredients from the Roaring Fork Valley. An inventive bistro/deli is Meat & Cheese. For classic burgers, head to the The Red Onion. If you’re self-catering, The Butcher’s Block has an extensive selection of meat and seafood, plus made-to-order sandwiches. Drinks: The quintessential Aspen watering hole is the J-Bar in the 1889-era Hotel Jerome. Ajax Tavern and the Highlands Alehouse are popular post-skiing spots. Getting there: United, Delta and American Airlines offer connecting service to Aspen. Transportation: A free bus service connects Aspen’s resorts.